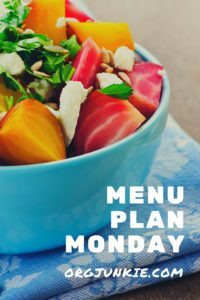 So it was time to create my next menu plan and I realized I never posted my last week's plan. Sorry about that. Here it is. D: Burrito Bowls (E) shredded chicken, brown rice, beans, salsa, and lime juice piled in a bowl. 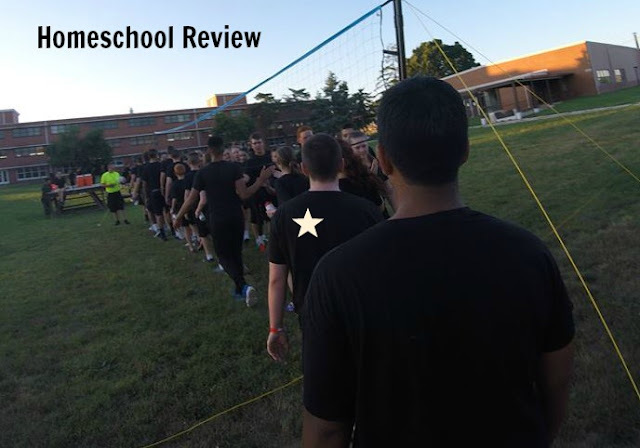 Today I get to tell you about a really great company called MaxScholar. Select members of the Schoolhouse Review Crew received a 12-month subscription to the MaxScholar Reading Intervention Programs in exchange for their unbiased, impartial review. 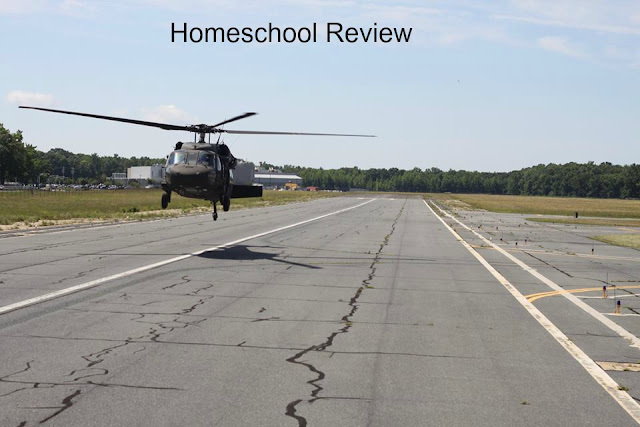 I began home schooling in January of 1992. My qualifications were that I know how to read, write, and do math. I had been teaching my daughter things her entire life, but now that she was 5 years old and we were calling it Kindergarten, I was NOT feeling qualified. 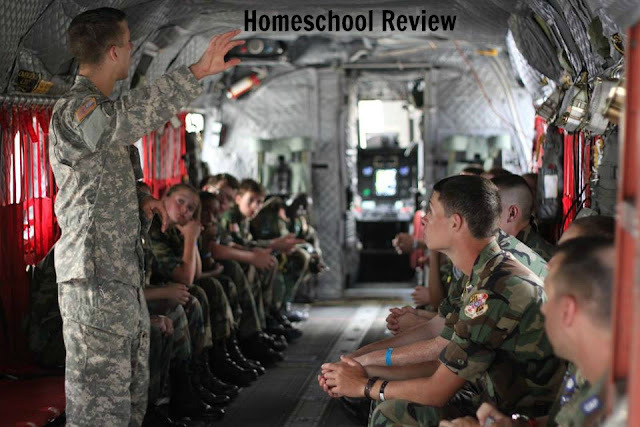 In 1992 there was not a lot available to a home schooling mom, either to borrow or to buy! I headed to my local library and checked out a stack of books to help me learn how to teach my daughter to read. The book that I ultimately settled on and the method I then used for twenty-plus years for teaching phonics and spelling was the Orton-Gillingham approach to phonics. Before beginning, I had to read, read, and re-read a book teaching me what to do. I made flash cards to use, and day after day my daughter and I sat together for hours working on the phonics in a black and white, boring method... that worked! 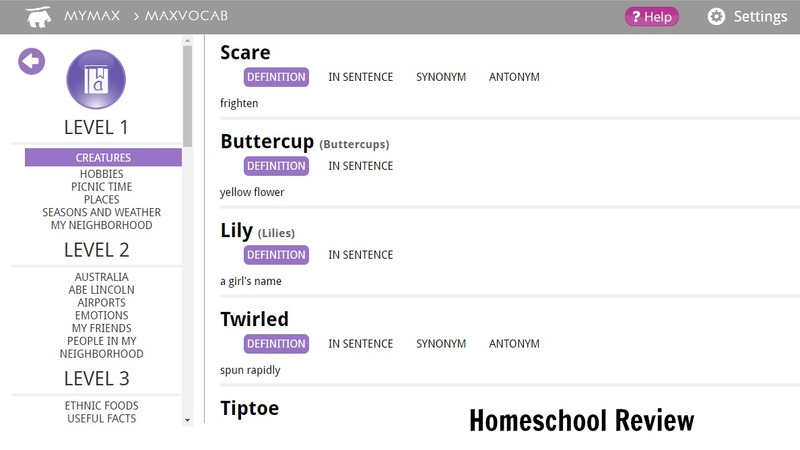 I still recommend the same phonics method, but now I can give moms a much easier method that is more fun for their kids! 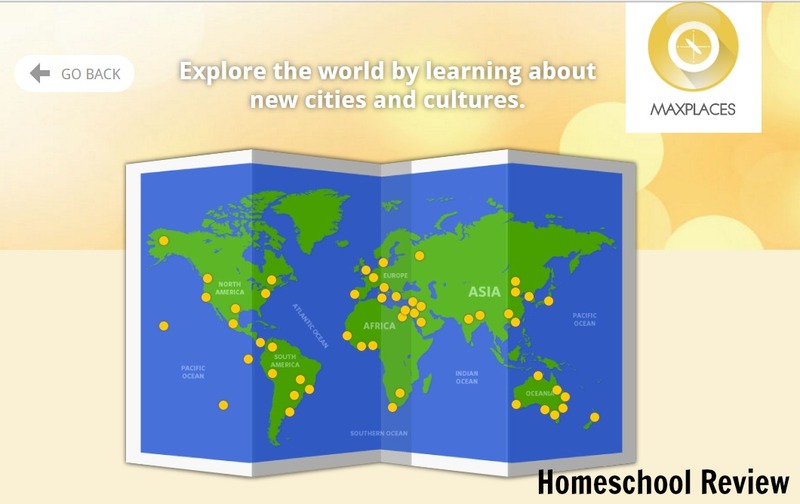 Now I can direct moms to take a look at MaxScholar! MaxScholar uses a combination of the Orton-Gillingham method and the Linda Mood Bell method. They teach the teachers what to do and help the students to develop their reading skills, writing skills and study strategies. The beauty of this phonics method is you can start at any age. So a struggling 4th grader can jump into the remedial program and, with incredible speed, make amazing progress. In a very short time they begin testing at an age-appropriate level, and stick with it a little longer and they are advanced beyond their peers! Your student will learn the sounds the letter makes. Your child learns how to write the letter, practices pronouncing the sound, and is given words that start with the phoneme sound. 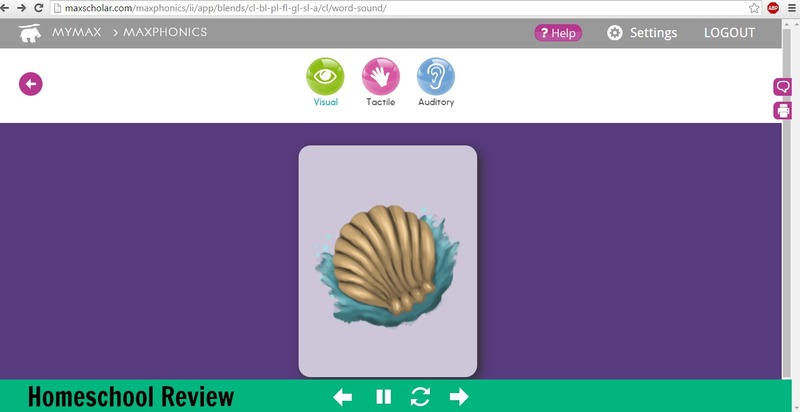 Then your student will learn how to blend phonemes. Your child learns to identify words that start with that sound, and soon learns to read short 3- and 4-letter words. Correction and adjustments occur with immediate feedback. 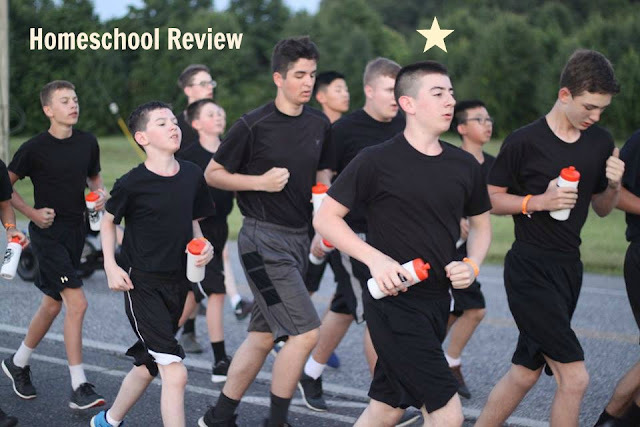 The student progresses at his/her own rate, and the parent/teacher has access to reports that keep mom aware of where the student is in the program. MaxMusic gives the student the opportunity to select a song by an artist and read the words, sing the words, and play games. 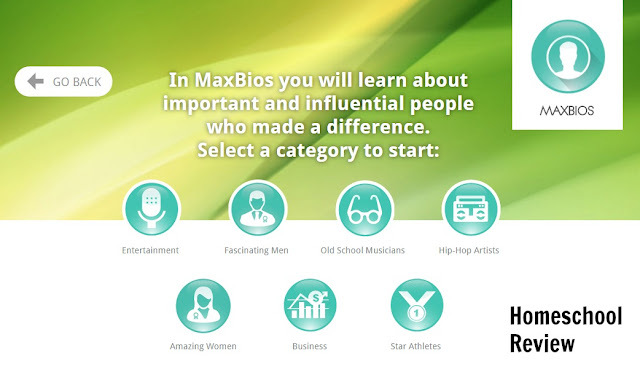 and MaxBios allows the student to practice developing reading skills by reading about famous men and women in entertainment, music, sports and more. If this program sounds like it could help you but you are still unsure, go to their website. They offer a free 15-day trial. Their phone number is posted so you can call and ask them questions. Go take a look! "Who would have known that some of these movies used to be books?" This is a question my friend at Three Giggly Girls Blog asked, and I loved the premise. 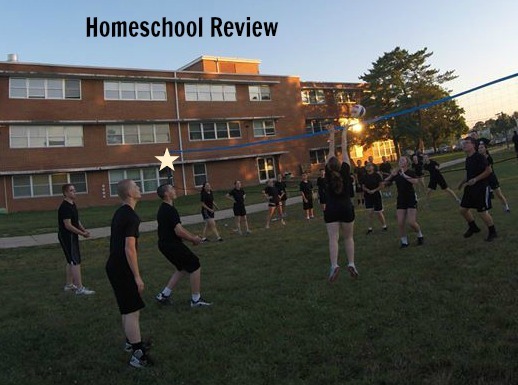 I thought it would be fun to use her post as a springboard to list books we have enjoyed in our homeschool that are also now movies or television shows. This list is in no particular order, but as I mentioned I am using my friend's list to jog my memory. I am only listing books we have read, though, so my list is different. Well, there are probably more, but that's my list. What books have YOU read that have also been made into movies or television shows? Summer schedule this week. In some ways this was a "down week" with less responsibilities. I had two reviews due, though, which takes a lot of time if I haven't done a lot of pre-work. This was one of those weeks. My student and I are still working on CTC Math each week (watch for review next week), and he still owes me some work in Chemistry. And my student is working 12 hours per week (4 hours/day 3 days/week). 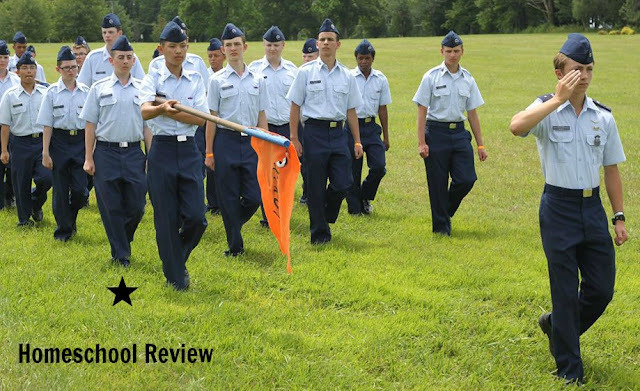 Civil Air Patrol last night. Other than that no evening commitments this week. My young man starts driver's ed on Monday, evenings 3 hours/day, 5 days/week, 2 weeks. So comparing this week to next, I guess this week is a lighter week. I need to finish my preparation and get my last school year reviewed. I'm almost there; a little more paperwork to do. I mowed a lawn Tuesday (for a neighbor) and started on our lawn but I got rained out before I got very far. Too hot to mow anyway so I was glad to quit and take a shower. On Wednesday my son mowed a lawn (for a neighbor) Wednesday. My lawn still needs to be finished, but the weather is just getting hotter. And now I have... the dogs! 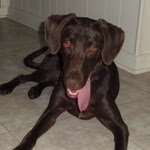 We have our own dog, Cody. We have a fenced in back yard. This morning hubby let the dogs out while he showered (I was not yet up). Bella got out of the yard. Everyone scrambled - son was out, hubby threw on clothes... I was trying to hurry, but they got Bella back before I got my shoes on. 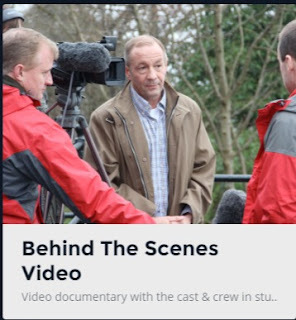 In early June I learned we were among those lucky Crew members who would be reviewing another production by Heirloom Audio Productions. 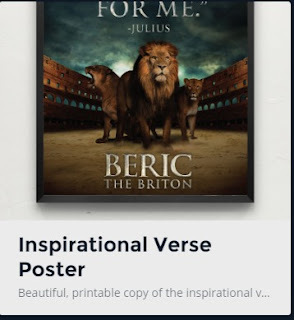 A couple of weeks later my package arrived containing the CD set of Beric The Briton. We had a couple of long trips on our schedule. Fortunately one of them was perfect for my plan to listen to the adventure. Perfect, in this case, meant my son was a captive audience, Dad was not there (he sometimes talks when we're trying to listen to something), and the trip was long enough that we'd be able to listen to the complete adventure. To set this up I want to make sure my readers all understand that my son is a difficult critic. There is no gray area -- everything is either black or white, he either loves it or he hates it. 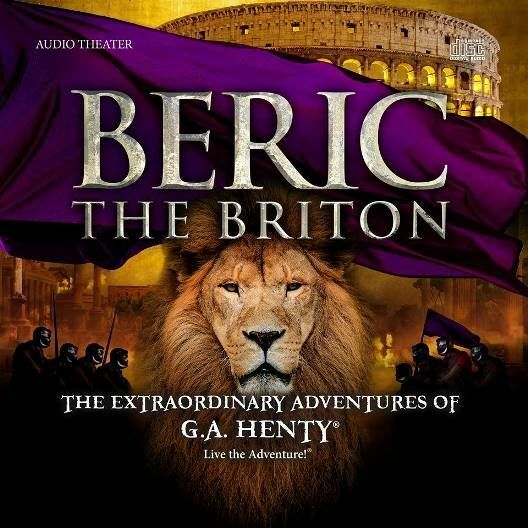 So, as we drove the 90 minute drive from our home to Baltimore, where we were to see the orthodontist, we dove into Beric The Briton. My son started asking questions. "When does this take place?" "When did Rome fall?" I couldn't remember. As we listened, we pieced together that the story took place during the first century AD. I still haven't looked up the date for the "Fall of Rome". So we finished the story. My son, the difficult critic, LOVES it! We saw my adult daughter (who lives ~60 miles away) a couple of days later, and he was raving about how good it is, that she's going to love it. I tried to hang onto it for photos for this review, but after searching for it all day I called my daughter. She has Beric The Briton with her! She thought I said she could take it! ::sigh:: No photos. 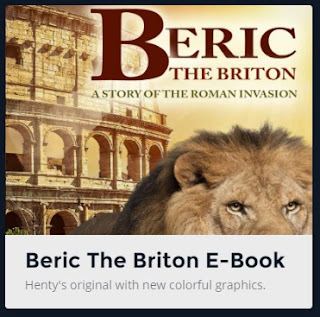 Little snippets of the story line: Beric has been educated in Rome and has gotten a good education, including an education in Rome's military techniques. Beric returns to his family in Brittain. As he comes of age he is made chief of his people (tribe, I think). The Brits don't want to be under subjection to Rome and are fighting to keep Britannia free, but the Brits don't have good methods for warfare. Beric trains his group how to fight, and for awhile they make a difference, but ultimately the Brits are overpowered by the Romans. Beric and his friends are taken captive and required to become gladiators. I won't tell you any more of the story now (no spoilers!). I will tell you there is a lot of battle as part of the story. When my son was younger he did not do well with this type of story. So I'm offering a warning here that tenderhearted children might not like this story. 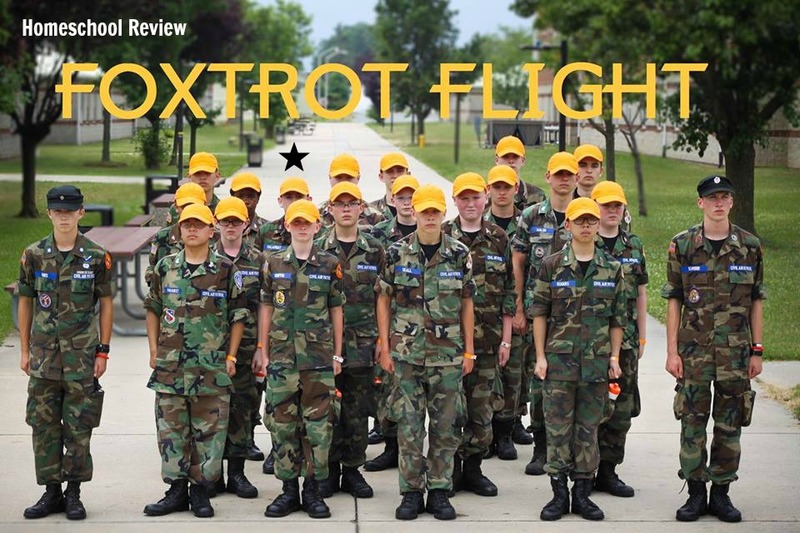 I now have a 16 year old who is in Civil Air Patrol, with plans to join the military. With his newer, mature mindset he loved all the battle tactics and descriptions of differences between how the Romans fought and how the Brits fought, and the changes Beric tried to implement. 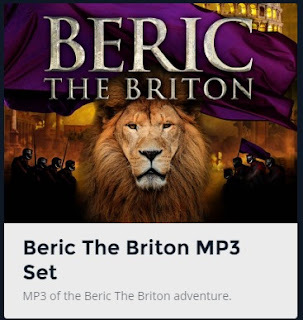 So when purchasing Beric The Briton, you might want to listen to it yourself first and decide if one or more of your children might need to be exempted from listening to the story. Beric came in a folded three-sectioned portfolio. It included two CDs and a little booklet that I can't describe because my daughter took it. Previous audio dramas from Heirloom included vocabulary, word search, crossword, and other fun educational items. The study guide is a fabulous bonus. It is designed to help parents of younger students talk to their children about the storyline and its lessons. The study guide is 50 pages long and can be printed out double-sided on 8-12" X 11" paper. You can take it to a printer by storing it on a USB drive, or you can print pages you want at home in color or black and white. The study guide has a beautifully illustrated cover page followed by a page giving credits to the cast and crew. 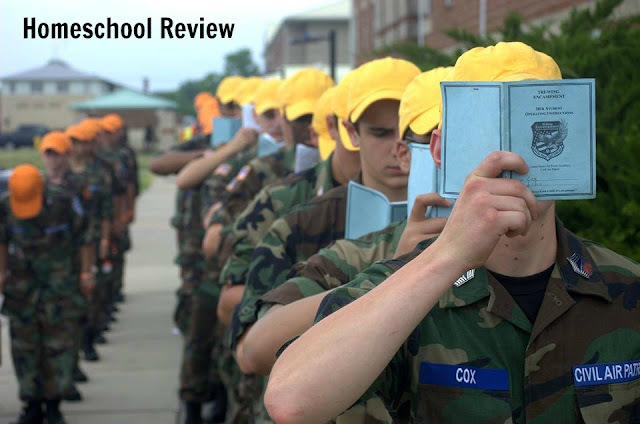 Next comes the Introduction that describes how the study guide can be used. The study guide breaks the storyline down into shorter sections. It explains how each smaller section has a set of questions broken down into "Listening Well", "Thinking Further" and "Defining Words". The next section of the study guide has small biographies about G.A. Henty (the author of Beric the Briton), Julius Caesar and Queen Boadicea. Then the question sections begin with "The Story Begins." I love the way the sections are broken down by disk # and track #. I also like that the sections are marked by tracking number. This way you can find the right spot regardless of how your device indicates its tracking. There are 30 sections of questions, and these also include some recipes and some links for further learning. After the question sections there is a list of titles to consider for further learning about the early Brits and the Romans of the first century. 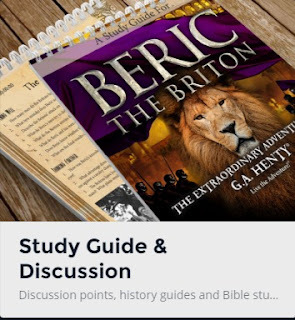 This is followed by a section with historical background for Beric the Briton. 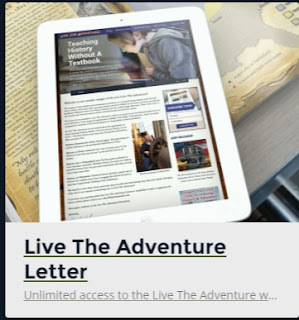 There is a page encouraging following the "Live the Adventure Newsletter". This is followed by a Bible study and a section discussing the significance of the Colosseum in Christianity. The study guide concludes with mentions of all the other audio dramas that have been produced thus far by Heirloom Audio Productions. 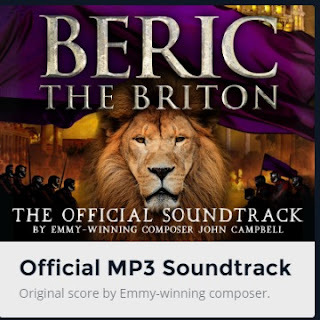 As I said, Beric The Briton is a winner in our house. 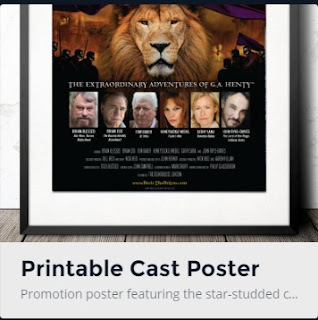 I hope you will consider purchasing this and other audio dramas from Heirloom Audio Productions. I love their ministry and the way they are working to bring history alive! In late May I learned I'd been selected to review another writing program for Writing with Sharon Watson. 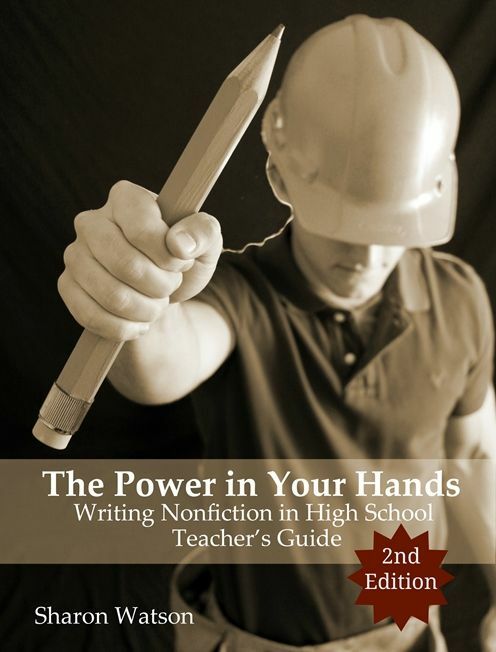 I was so pleased the day I received, "hot off the press", my package containing The Power in Your Hands: Writing Nonfiction in High School, 2nd Edition. I received both the Student Textbook and the Teacher's Guide. 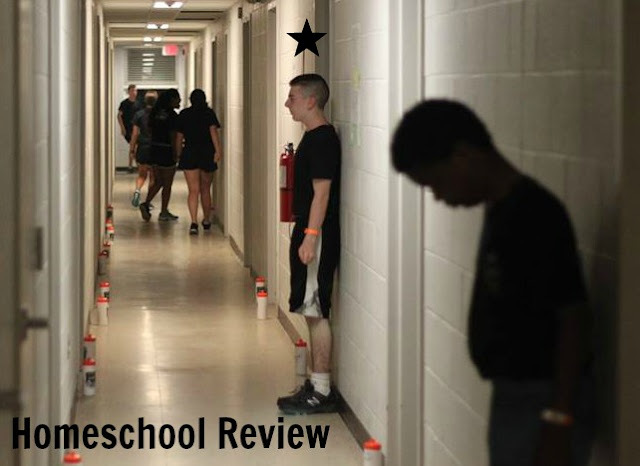 I asked to be on this review because I want my son to be equipped for college composition courses. He has actually taken English 101, English Composition, at our local community college this past spring, under the "Dual Enrollment" program. He starts English 102 next month. English 102 is a course that will require my son "to read, analyze and evaluate non-fiction and then write arguments using logic and rhetorical techniques." My son tested as prepared to take college level English, and he got a "B" on his first course, but the description on this second course left me concerned that he really might not be adequately prepared for this course. The college class will teach him what to do, but I was so thankful to have this opportunity to spend some time using The Power in Your Hands to try to fill in any gaps! I received both the student book, pictured above, and the Teacher's Guide, pictured below. Here is a summary of the Student Textbook TOC (embedded). You can use the program as a one-year plan, or you can use it as a resource, looking up the material you want to cover for the specific type of writing assignment you are assigning. 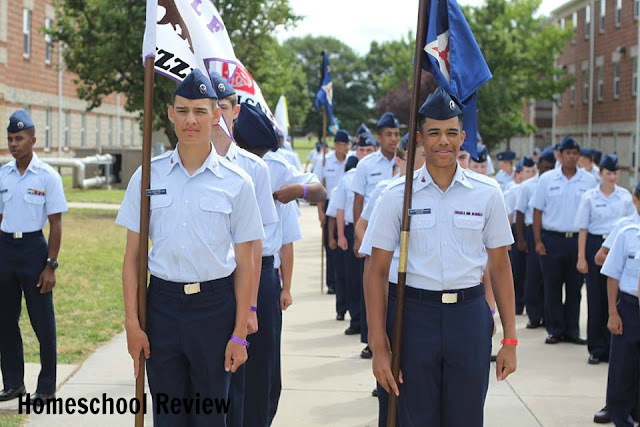 The lessons are written to be student directed (parental involvement not required), which is so appropriate at the high school level. 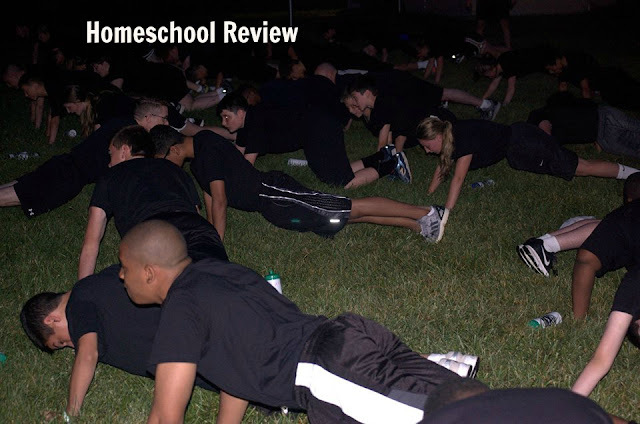 The material prepares the student for college-level writing. So, while this material provides 117 daily lessons to walk the student through 21 writing assignments (essays, reports, narratives, persuasion, exposition, description and narration), it can be used by the assignment for specific types of writing. It also can be a shelf resource for years! I can totally see myself pulling this program out to help my son in his writing course at the community college next semester! While we have had The Power in Your Hands for six weeks or so, we have certainly not gotten to all sections of the program that my son is going to need. We don't have a syllabus for his next semester's course, so it was choosing topics blindly as we worked through the chapters. I needed to decide what to focus on with my son. We previously used part of Sharon Watson's Illuminating Literature: When Worlds Collide (and I reviewed it here on my blog). Some information from When Worlds Collide was also covered in The Power in Your Hands (and that is totally appropriate). Chapter 1: Thinking & Planning was mostly review for us. As I walked my way through the chapters, I realized I was going to have to just pick a place to start even though I'd be skipping other material I wished I could start with, that my son hasn't covered. My son is a lot closer to his next college English class than most high school juniors! My son wrote a Literary Analysis Essay (Chapter 18) comparing two short stories that he had absolutely no interest in. I know colleges assign these. Working on material you don't care about to create a paper you don't care about is very "real world", but somewhat excruciating! He got through it. We worked on a Definition Essay (Chapter 19). It was totally new territory for my son. He was struggling with this one, so I worked with him. Each time we thought he understood the concept, he'd work on the draft. I'd go over it with him and find he was lapsing into a persuasive essay. His concept was "What is a Home Schooler", but he kept sliding into a piece to convince the reader why they should home school. We had many draft revisions on this one, but he finally produced a fine essay. There is so much in this book that I wish I could get into my son's head! So much to learn, so little time! I am so glad the Table of Contents of The Power in Your Hands is laid out so well. As my son receives his assignments in English 102 this fall he can tap into this program's content to help him complete his writing assignments. 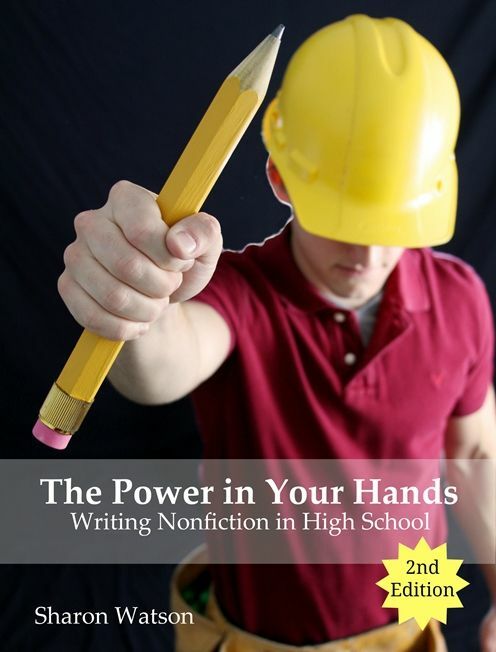 The content of The Power in Your Hands is so relevant to college writing that I think this book will be a helpful resource for my son for several years. The Power in Your Hands is available in printed form or as a set of e-books. The student book is a consumable, so having it in e-book form might be handy if you have several students. The initial section prepares the parent/teacher for the course and lets the parent know what is in the student book, what writing assignments are covered in the program. 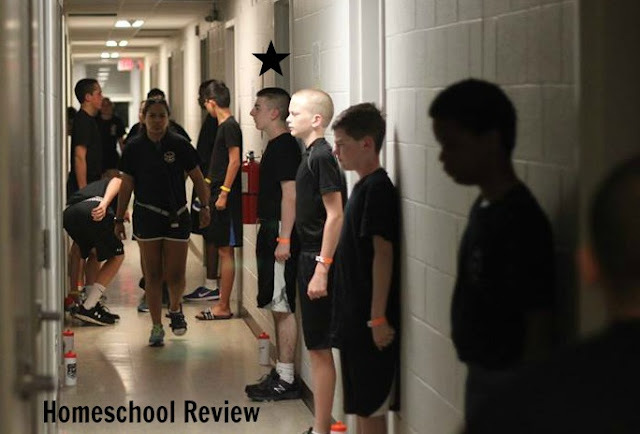 The next section (my favorite section) goes into great depth to describe how to grade the student. I find it difficult to balance my perfectionism ("This isn't good enough! Please address these issues!") against a randomness that loves everything my student writes (or that doesn't want my student to be discouraged). Concrete rubricks (provided in Teacher's Guide) take away the emotion and/or randomness and allow the student to know what he is aiming for. We both find that so helpful! 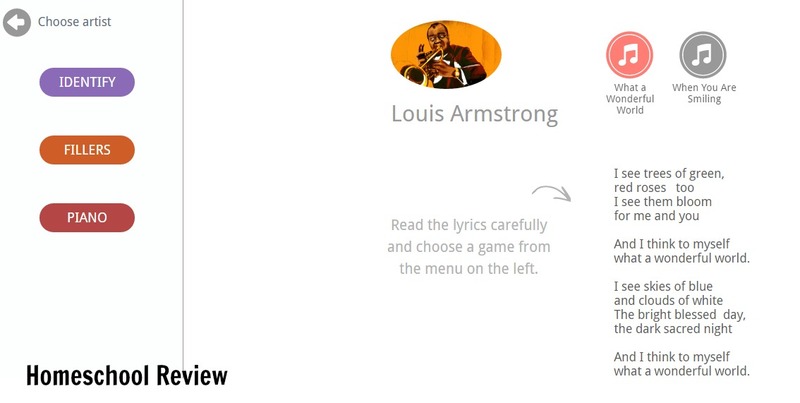 Guidelines for editing notation are provided to teach both the teacher and the student. Chapters in the student book are covered in the teacher book with explanations, rubricks, sample writing examples, etc. It is very well done. If you have a student in high school and are feeling uncertain how to cover teaching composition, The Power in Your Hands might be for you. If you are using a curriculum for high school literature that gives assignments like, "Write a literary analysis comparing these two short stories," without much other explanation, you will find The Power in Your Hands helpful as well. There are certain types of essays and writing assignments your student should be familiar with before starting college and The Power in Your Hands will help prepare your student for these. You can also get more resources from the Writing with Sharon Watson website. She provides tutorials, weekly writing prompts, teaching tips and more. I've been a newsletter subscriber for quite some time and love those weekly emails! Other members of the Review Crew also reviewed The Power in Your Hands. To see other product reviews, please click the button below. From 6/26/16-7/3/16 my son (and hundreds other young men and women) attended CAP Tri-Wing Encampment in Aberdeen, MD. 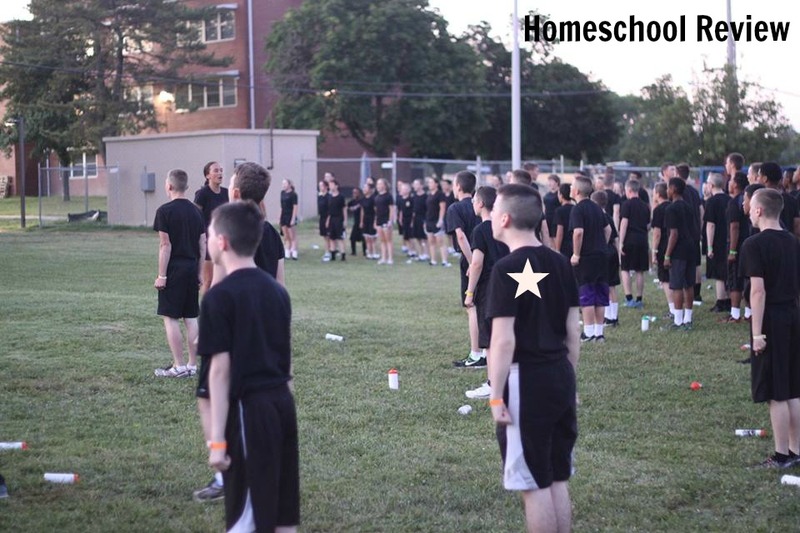 Check-in was hot and sweaty in BDUs with a large duffle and additional uniform wear on hangers. 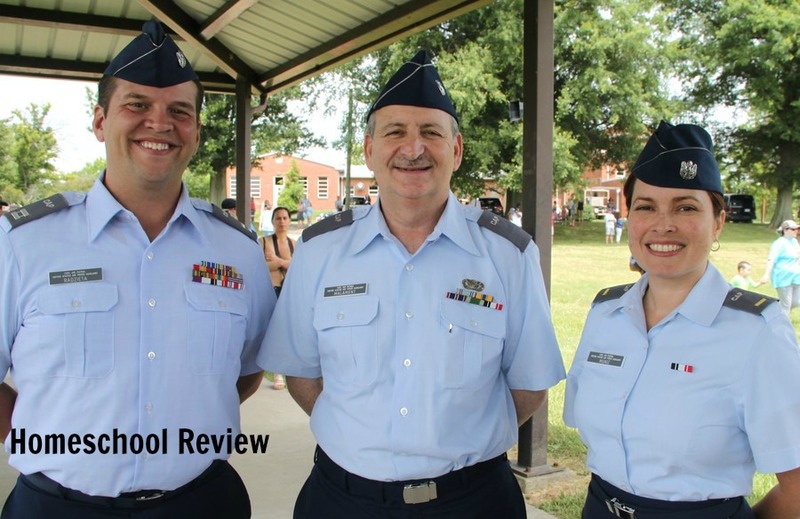 Our cadet checked in, and we said our good-byes. 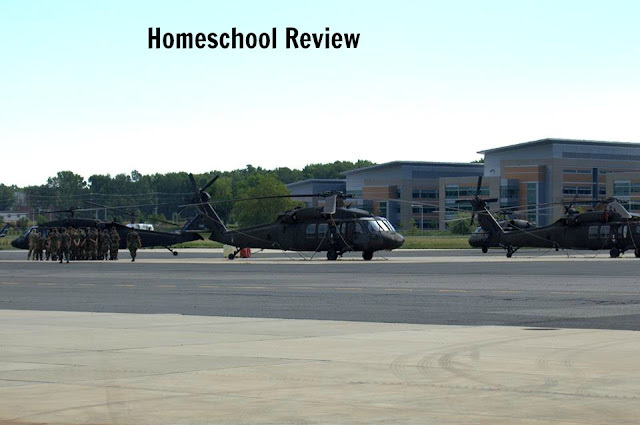 As the week progressed, Tri-Wing posted hundreds of photos to their Facebook page. We pieced his week together through the photos, and occasionally spotted him in those photos. The week began with orientation. We see the back of our son's head on the front row. Here he is again, 5th face from the left. Mornings began at 0-dark:30 with room inspections followed by PT. Days were filled with book work/study, physical training, volleyball and lectures. A highlight of the week was riding on a Blackhawk helicopter! 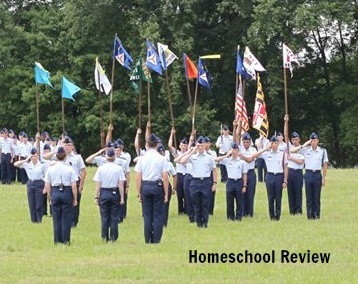 They drilled to parade at graduation. Graduation was 7/3. My CAP Senior went to the graduation in his blues as well. My cadet had a great time, but was very happy to be finished to come home and recuperate.